In this, the first edition of the Conspectus since the close of NTX Beer Week, new beers and a brewpub-to-be make an appearance, as does a bit of distro news from out of Fort Worth. Additionally, one Dallas brewery provides consumers with an early look at its 2018 lineup. 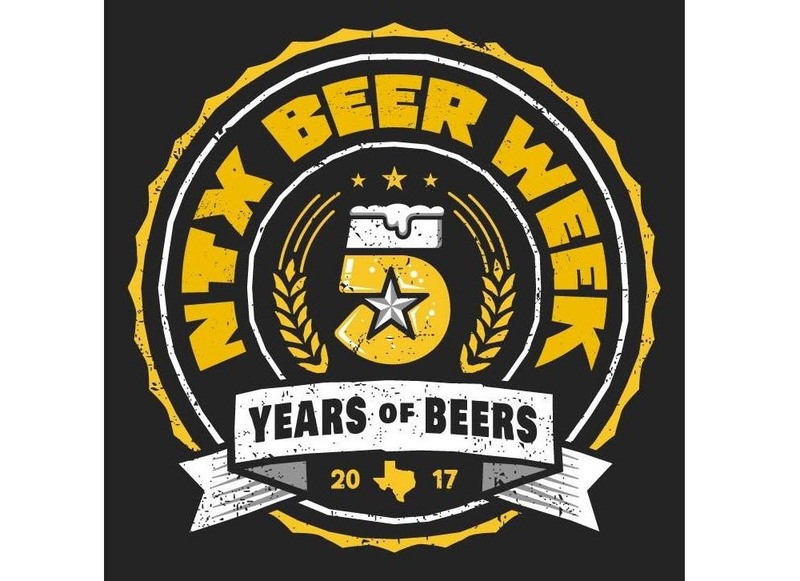 In case you missed it, a number of beers were released during the aforementioned NTX Beer Week. The list of new brews includes 2017 Braindead Hammer of the Gods and Bent de Garde (to-go bottles, sold at the brewery), 2017 Community Barrel-Aged Legion (retail four-packs), Hemisphere Black Sacrament (draft, brewery only), Lakewood Cuvée de Vélo (on-premise bottles, sold at the brewery), Noble Rey Eagle Tears (to-go cans, sold at the brewery) and Texas Ale Project Blood IPA (draft accounts). For the first time in its three-year history, Small Brewpub of Dallas has bottled one of its beers for take home sales. 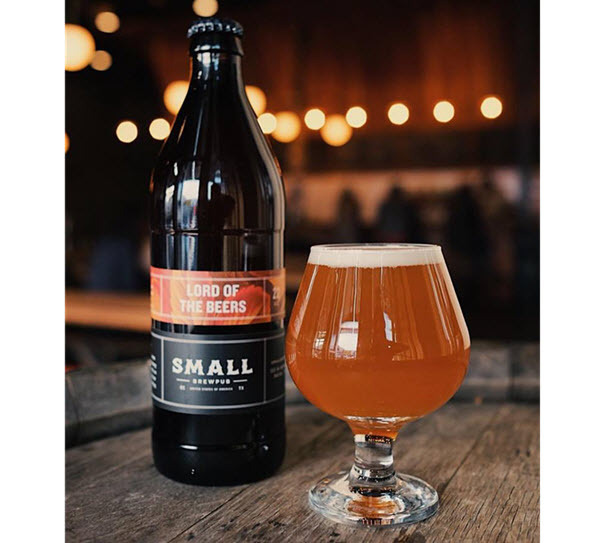 Lord of the Beers is a concoction inspired by Lord of the Pies, an apple pie made by Small Brewpub's fellow Oak Cliff establishment, Emporium Pies. Fermented with spiced granny smith apples provided by Emporium, Lord of the Beers is an English strong ale that's been aged in rye whiskey barrels. 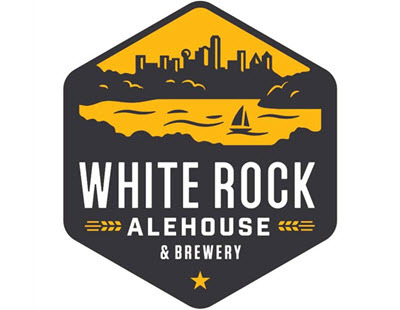 White Rock Alehouse & Brewery is now an officially licensed entity, after its permit was approved last week by the Texas Alcoholic Beverage Commission (TABC). The brewpub has yet to announce an opening date, but it will be situated in a retail development at 7331 Gaston Ave. in Dallas (that's just across the road from On Rotation). 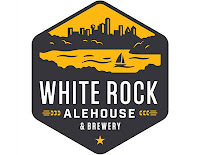 White Rock owners Dave Kirk and Greg Nixon have hired Blake Morrison, formerly of Cedar Creek Brewery and Whistle Post Brewing Co., to head up brewing operations. 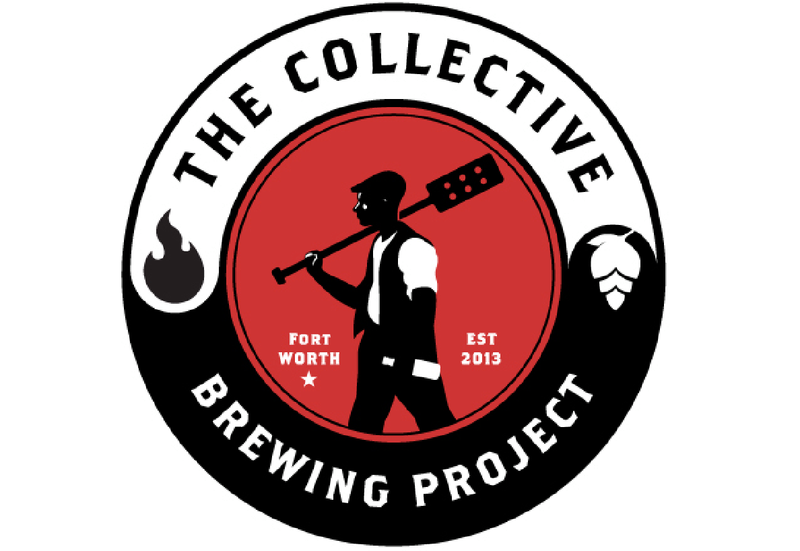 The Collective Brewing Project of Fort Worth has announced its intent to begin distribution to California. To that end, the company has signed on with Lime Ventures, a wholesaler based in Concord. In a blog posted to the brewery's website, co-founder and California native, Ryan Deyo, discusses how the move will now allow him to send his beers to family and friends back home. Initial shipments to The Golden State are expected to occur in December. 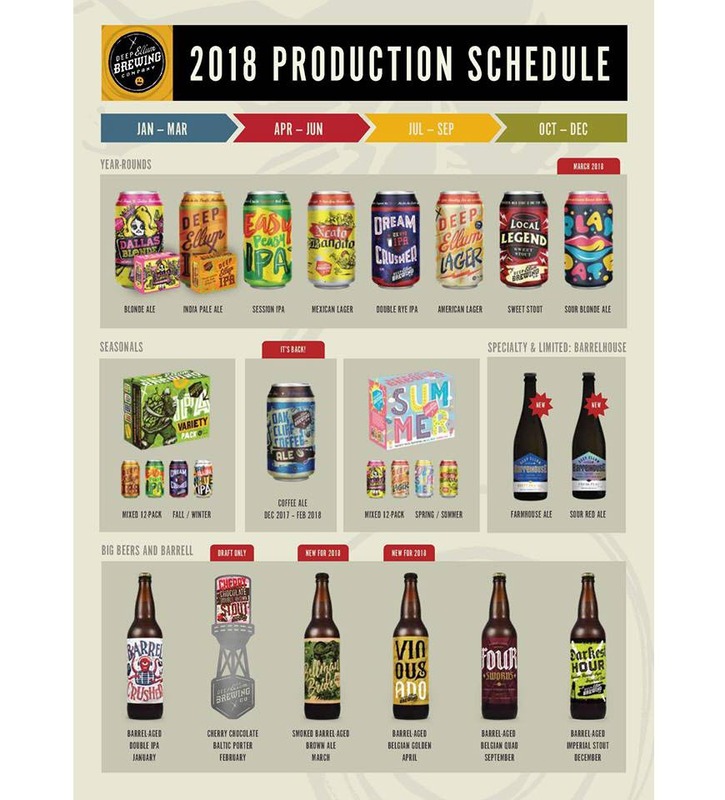 Looking ahead to next year, Deep Ellum Brewing Co. of Dallas has published its production schedule for 2018. In addition to the return of Oak Cliff Coffee Ale and the release of Play Date in cans, the lineup includes new barrel-aged offerings (Bellman's Bride, Vinous Ado), plus the first beers in the Deep Ellum Barrelhouse series (Farmhouse Ale, Sour Red Ale). 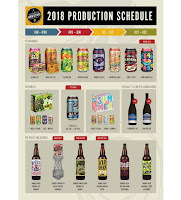 More on those beers, and others, can be found by expanding the image to the right, where you can see the complete list of expected releases. Shannon Brewing Co. of Keller has launched Mór IPA, a beer whose name is derived from the Irish word for "big." 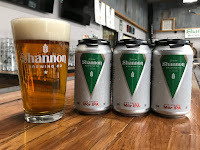 Along those lines, the beer is said to be "a big celebration of aromatic hops," with hop varieties such as Warrior, Simcoe, Citra and Amarillo being used in its creation. Mór IPA is a year-round beer, set to be available on draft and in six-packs of 12-ounce cans. Image credits (top to bottom): NTX Beer Week, Small Brewpub, White Rock Alehouse & Brewery, The Collective Brewing Project, Deep Ellum Brewing Co. Shannon Brewing Co.